In the United States, there are many issues which exert an influence on mental health and illness. The occurrence of mental illness appears to originate from biologic, genetic, and environmental factors. The degree to which each of these components has an influence varies with the disease as well as the person . The health care system in the United States may determine the success that a patient has with mental illness . For example, there may be controversy over the placement of someone who has committed a crime. Some clients may go to a correctional facility whereas the mental health team will advocate that a mental health center is better for them than prison. Without doubt, there is a multitude of human rights issues that arise in psychiatric hospitals today. There may be disputes over voluntary administration of psychotropic medication versus involuntary tranquilizers. Seclusion and restraints will pose concern of many a patient and family member, and this can prompt some of them to file grievances about patient care. The diagnosis and management of any psychiatric patient may become controversial whether in an inpatient or outpatient setting. These variations in mental health assessment can influence whether a child requires special education in school, and it may determine whether an adult is capable of certain types of employment with or without accommodations. It is well-known that the influence of family on mental health can be dramatic. First, the process of deinstitutionalization of psychiatric patients places responsibilities on family members and other caregivers. For example, family members may have to monitor the patient's medication, clinic appointments, and behavioral changes. These interactions may prolong the parental role as they may have to care for the child beyond the adolescent years. Caregivers, in turn, may suffer from depression, anxiety, unemployment, and financial difficulty . Moreover, siblings of the caregiver or patient may not always agree on management of the situation. Social attitudes about mental illness are complex, and they are often the result of inadequate mental health literacy in the community. There is much in the medical literature about stigma, in which there is discrimination, prejudice, and stereotype with regard to individuals who seek mental health treatment [1, 2]. In essence, this leads to negative views of these patients, and the result is intolerance, bias, and a notion that it is a disgrace to have a mental disorder. Negative attitudes may result in social exclusion as well as discrimination in housing and employment. The public may develop a distrust or fear of psychiatric patients, and there can be a reduction in their social status. Moreover, if the news media are not sensitive to these matters, journalists can further propagate stigma. The effects of stigma will keep some individuals from mental health treatment as they anticipate the unpleasant experience that may occur when the community discovers their situation. Culture transmits socially and has to do with ways that groups of people live. There is a strong link between culture and communication, and this will naturally pose a problem with psychiatric patients. In others words, members of the community who lack knowledge of a person's culture may not be able to discern that he or she is in physical or mental distress. It is therefore important that the health care team learn about various cultures as patients will present to hospitals in the United States and other parts of the globe with language and cultural variations. In order to acquire cultural competence, health care providers must develop knowledge, skills, and the ability to comprehend the client's beliefs and experiences. Finally, the complex interactions between various social determinants will have an influence on mental health in the United States. These are the conditions in which people live, work, and grow. Social determinants include housing, poverty, education, food, clothing, access to health care, race, gender, and several other items . These issues especially affect the childhood years where growth and development are vital. Situations in which there is education, good income, safe neighborhoods, and adequate nutrition will afford a better environment for health than those where these factors are not present. Children in households where income and housing are good have better access to health care than impoverished families. The social context of mental health and illness is complex, and community health education is a major step to address this public health problem. Manderscheid, R., Ryff, C., Freeman, E., et al. (2010). Evolving definitions of mental illness and wellness. Preventing Chronic Disease, 7: A19. Thornicroft, G., Brohan, E., Kassam, A., and Lewis-Holmes, E. (2008). Reducing stigma and discrimination: Candidate interventions, International Journal of Mental Health Systems, 2: 3. 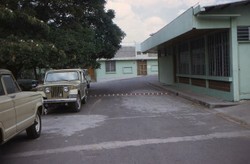 The photo shows a San Salvador field station of the Centers for Disease Control. Reprinted with permission from Centers for Disease Control/Judith Faulk. This is an excellent presentation of the issues. There can be no doubt that family and community context plays an important part in the development and maintenance of mental health and ill-health. Self confidence can have such a significant effect on your life so it's important to protect it if you have it, or develop it if you don't.